It's called Pain-Free Fat Loss. It's the only pain-free weight loss program that helps you lose fat and reduce inflammation and pain levels. We contacted some of our clients who’ve been through the program, and asked them what they value most about Pain-Free Fat Loss. Over the years I've read and tried so many "plans." Large books that are packed with information. The result? I was still overweight and out of shape, but always certain I was on the edge of a breakthrough (if I could just knuckle-down and implement all the ideas I’d read about). They questioned the common knowledge on "dieting" and distilled an effective and easy to implement way of eating that staves off hunger. The fat is falling off me. So thankful to be off the gerbil wheel. I'm the type of person to overcomplicate things like training and nutrition. I hate not being able to eat my favorite foods, and don’t do well on restrictive programs. PFL allows me to enjoy big dinners with my family, and not be that weird guy that brings his food with him to restaurants.. I've tried the Atkins Diet, the Anabolic Diet, the Warrior Diet and the Paleo Diet. This was by far the easiest to follow, and has produced the best results so far. You always hear that you have to eat breakfast, and you have to eat snacks to keep your metabolism running, and you have to eat every 3 hours. But that doesn't work with everyone. As a dietitian, I love that this program provides an alternative to those individuals who don’t have time to eat 6 meals a day. Your meal plans should always be about what works for you—not what old, broken systems recommend. It's realistic, and literally anyone can make the few tweaks needed to shed the pounds and avoid clogging their arteries. Not a bad trade-off for better health. We’ve taken years of client programming and boiled it down to the most essential techniques, foods, and recipes for maximum fat loss with minimal effort. 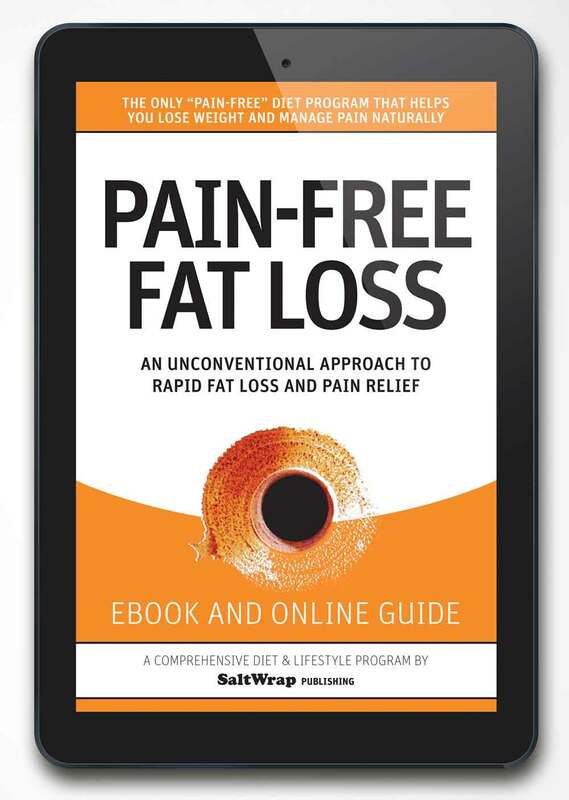 This concise, easy to follow book explains the methodology Pain-Free Fat Loss. After you finish this book, you’ll have all the tools necessary to effortlessly shed extra body fat and manage your pain levels—naturally. Our research, combined with thousands of hours of clinical experience, has enabled us to assemble a research-backed, client-tested weight loss program—unlike anything you’ve ever seen before. In this book, we’ve broken down the hard science into easy-to-follow advice. This beautifully designed recipe book is easy to access on your computer, smartphone or tablet—and gives you dozens of recipe ideas for breakfast, lunch, dinner and snacks. 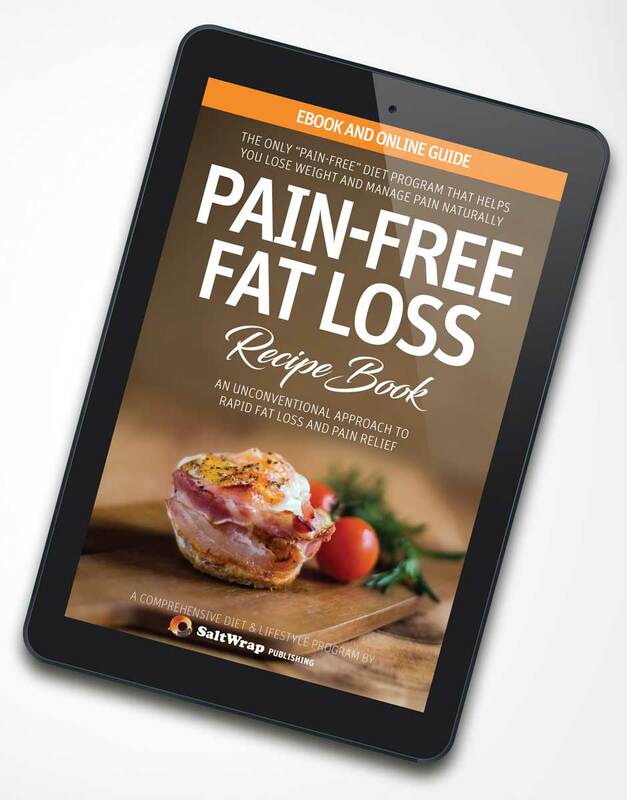 You’ll love the delicious recipes in the Pain-Free Recipe Book, and will have a solid understanding of how to prepare your own fat-burning, pain-killing meals after trying a few recipes for yourself. It’s not all about excluding junk food from your diet... you shouldn’t focus ONLY on what to avoid. It’s even more important to focus on inclusion—buying and eating natural anti-inflammatory foods. 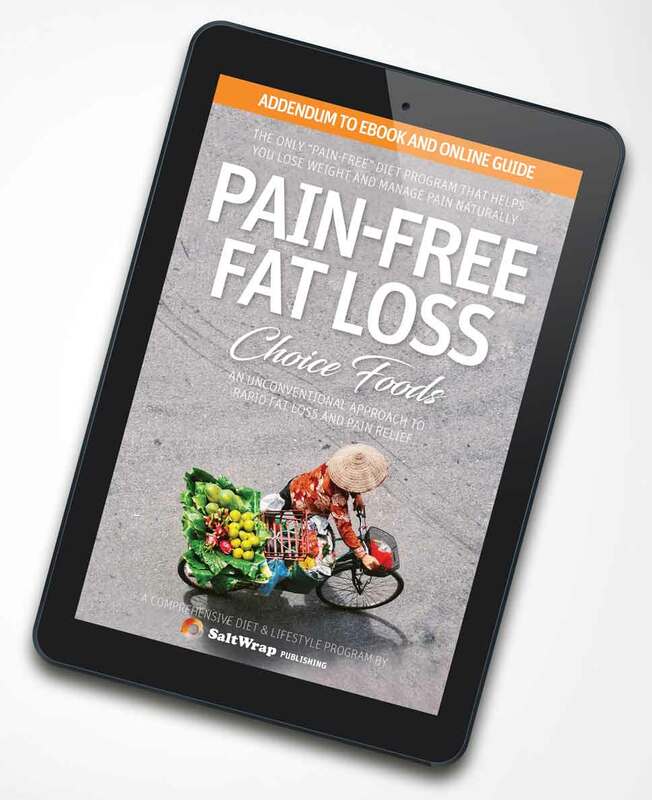 The Choice Foods Guide provides an overview of the best foods, tools, and kitchen accessories in each category to make following Pain-Free Fat Loss a breeze. By taking focus away from what you SHOULDN’T eat, and focusing on what you SHOULD eat instead, it becomes easier to make good food choices. Include several servings of these foods each week, and you’ll find that you don’t have the appetite for other junk. You'll get our fool-proof grocery shopping guide. This 1-week grocery list ensures you are getting all the anti-inflammatory, fat-burning foods you need to accomplish your goals. Buy these foods at your local grocery store each time you make a trip. 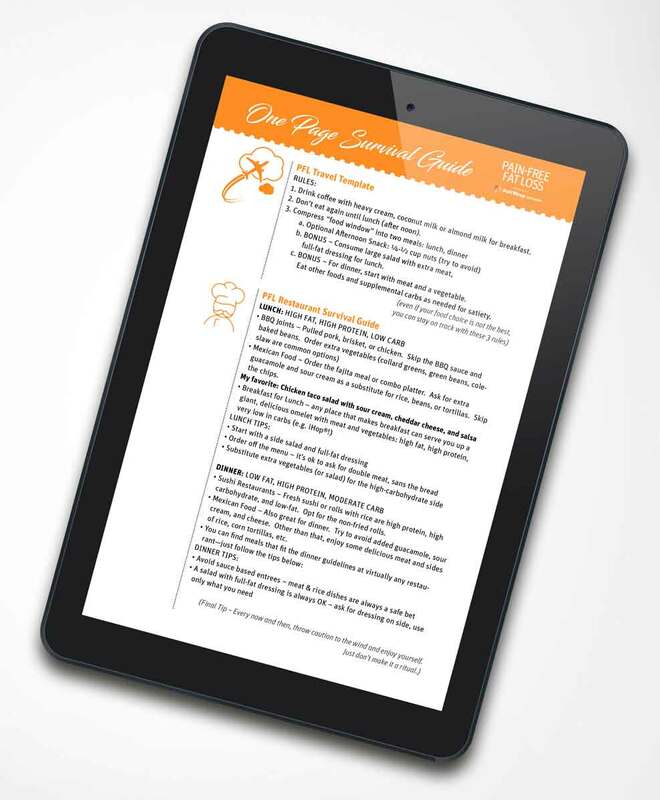 Print out the guide, or take it with you to the store on your smart phone or tablet. This 1-page Survival Guide will remind you of the few things that matter when eating out—or eating abroad. It’s Pain-Free Fat Loss in its most simple, boiled-down form. ​Lose the weight—​and lose the pain—for less than the cost of a gym membership. At this point, you’re probably thinking I’m going to ask a fortune to get access to Pain-Free Fat Loss. After all, we’ve condensed—quite literally—thousands of dollars worth of client consulting into this program. But we’re more interested in helping the maximum number of people possible. That’s why we took our exercise therapy practice online in the first place. We want ANYBODY looking for pain relief and weight loss to be able to get this program. So we’re not asking you to spend three or four hundred dollars on a programming package. In fact, we’re not even asking you to spend the cost of a one month gym membership. Like I said—we want ANYBODY to have access to this program that wants it. Not only that—we want to ensure you succeed with this program. So we’re adding a Follow Up Accountability Series as a bonus. Why do you think celebrities and pro athletes hire trainers? Is it because they don’t know how to work out and eat right? They pay top dollar for trainers and nutritionists to hold them accountable. So to keep you on track, we’ll send you tips, tactics, and advice when you need it most. Because the challenges you’ll face on days 1 through 7 will be much different than the challenges of days 15 through 21. We’ve assembled all the common stumbling blocks and sticking points our weight loss clients experience, and put together a series of emails that prepare you for whatever comes your way. Our Accountability Series will keep you motivated, focused, and on track. You can opt out of these emails at any time, but we strongly suggest staying on the list so we can connect with you, and help you stay accountable for achieving the goal you’ve set. ...We’re also giving you unlimited access to the Member’s Area of PainFreeFatLoss.com. This page contains resources and exclusive content you won't find anywhere else. 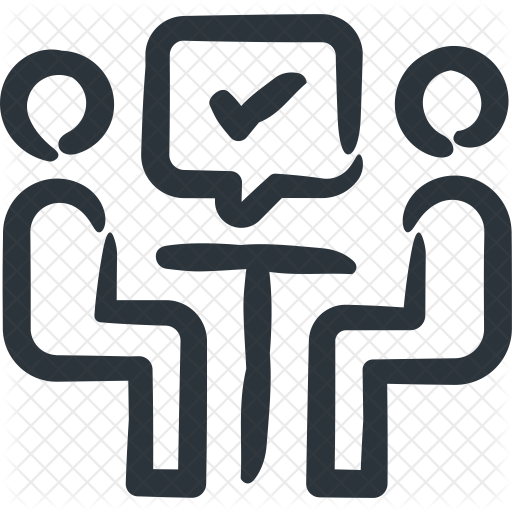 You’ll get a private link to our Member’s Area with unlimited access. And you’ll get FREE Upgrades for life. As we add new features, content, and updated research findings to the program—you’ll be the first to know. We’re working on an online portal that will transform our books into a true educational course on weight loss & pain relief. This is going to be a premium service, but you’ll get access to any new PFL program additions for free when you sign up today. 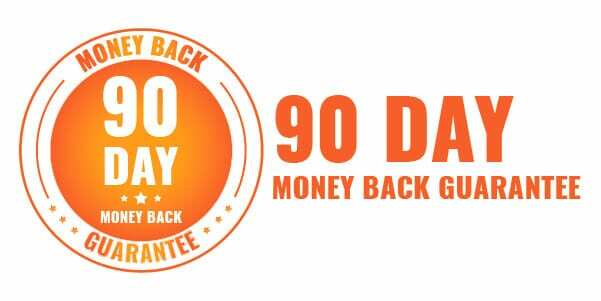 And to prove we mean business, we’re backing up this offer with a 90-day money back guarantee. If you worked with us for 6 weeks, and established a plan that allowed you to get down to your ideal weight — lower your inflammation to healthy levels — and get rid of your pain. Would it be worth $1,122? If you could make that trade right now, would you? But I'm not going to ask NEAR that amount. Like I said, we want to help as many people as possible. So we've made it easily affordable for you. In fact, more than one client has emailed me saying the program paid for itself on their FIRST trip to the grocery store! Not to mention the time savings. The bonus guides make meal prep and food selection easy. AND — you'll have the freedom to eat out at restaurants, guilt-free. But this is a limited time offer. After the initial launch period, membership entry will be going up. And as the program evolves, so will our pricing model. But, you don't have to worry about all that. If you sign up today, you'll never have to pay another penny. You'll get free upgrades as we add more material to the program. And will have unlimited access to the Member's Area of PainFreeFatLoss.com. All for a low, one-time price of $47. …I hope this proves we’re invested in your success. Anytime within three full months of starting our program, if you’re not happy with the results, just email us and we’ll refund your money. Since this program is delivered through ebooks, email and our website—you don't even have to return anything. It's that easy. You even get to keep the ebook, Pain-Free Recipe Book and other supplemental guides if you choose to request a refund. That’s not something we offer for our exercise therapy clients. But it’s important you feel good about starting this program with us online, and have the same confidence in us that our face-to-face clients do. Our regular price for this program with all the bonuses and online access is $79. But to celebrate our online program launch, you can get access to everything for a one-time payment of $47. $47 is probably too low...(or so I'm told). You can't even get a 1-month gym membership for that price these days. Let alone a meal planning service or nutrition consultation package. But we want to help as many people as possible during our launch. Again, this is a one-time charge. But we will be increasing the price after this initial launch period (this isn't some fake urgency thing... we really do need to increase the price when we re-launch the program). This offer is only guaranteed during the promotional launch period. We can only guarantee the $47 price for today, based on the number of new members who sign up. If you’re at all interested, please don’t put this off. This offer might not be available tomorrow. We want to make sure you get fair deal. No matter what. That’s why we’ve made this offer such a no-brainer for you. ...and you get the full book, support materials & guides, AND free upgrades for life. So what do you think... sound like a fair deal? To be clear...this isn't a coaching program. It runs itself. With you in the driver's seat. But we're still monitoring and limiting new members to ensure we're offering the best experience possible for you. ​Answers to Frequently Asked Questions are on the next page. The PFL ebook will guide you through the program seamlessly. Accountability is key. If our personal training clients are honest with us... they'll say they hired us for accountability. We make sure you stay on track. Fair is fair. We stand behind that. If you don't agree, let us know. This isn't a coaching program. You simply follow the system, and watch magic happen. But we're still filtering membership invites and only letting a certain number of people in. Because we want to make sure we're offering the best product possible to our clients. Getting "early access" gives you free upgrades for life. Even when we come out with new books, new online programs, etc. for Pain-Free Fat Loss. The "early bird" members who sign up on the next page get all that at no extra cost. Reserve Your Spot: complete this form and click the button to get instant access to Pain-Free Fat Loss. Your personal invite will be sent to the email address you provide. We respect your privacy. See our terms & conditions here.